Zelda enjoyed eating her lunch right off the truck today. Zelda loves meals on wheels. She’s never met a food delivery vehicle that she didn’t like! 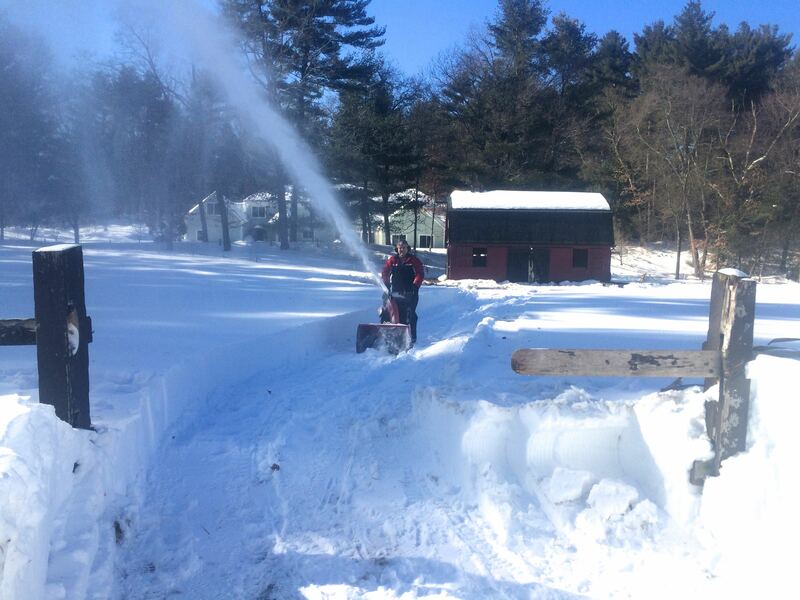 Today my husband took his snow blower over to the barn to create a path wide enough to drive food to the red barn. I don’t think that we’ll be getting a hay delivery truck down there any time soon and I’ve been using a sled to bring hay and grain those last 200 feet to the barn. Let me tell you, that gets old fast. 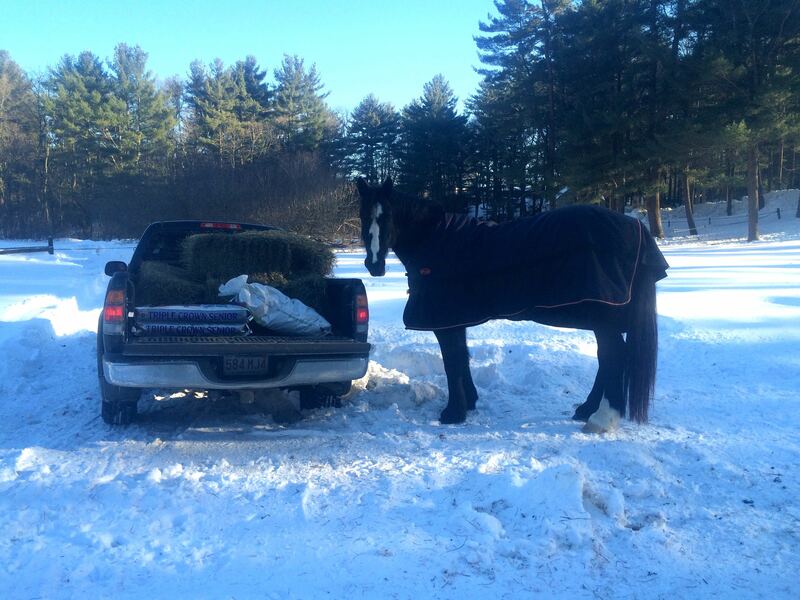 Creating a path in the snow wide enough to drive the truck to the barn. face was priceless. She’s a big girl and probably looks even bigger coming at you, on snow, at speed. Luckily for all involved, she chose to go around. It’s crossed our minds. Curly is the only one with sled pulling experience and Zelda would do her best eat the hay as it moves!